The past century has born witness to a growing interest in the belief systems of ancient Europe, with an array of contemporary Pagan groups claiming to revive these old ways for the needs of the modern world. By far the largest and best known of these Paganisms has been Wicca, a new religious movement that can now count hundreds of thousands of adherents worldwide. Emerging from the occult milieu of mid twentieth-century Britain, Wicca was first presented as the survival of an ancient pre-Christian Witch-Cult, whose participants assembled in covens to venerate their Horned God and Mother Goddess, to celebrate seasonal festivities, and to cast spells by the light of the full moon. 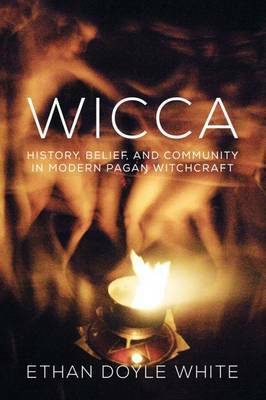 Spreading to North America, where it diversified under the impact of environmentalism, feminism, and the 1960s counter-culture, Wicca came to be presented as a Goddess-centred nature religion, in which form it was popularised by a number of best-selling authors and fictional television shows. Today, Wicca is a maturing religious movement replete with its own distinct world-view, unique culture, and internal divisions. This book represents the first published academic introduction to be exclusively devoted to this fascinating faith, exploring how this Witches' Craft developed, what its participants believe and practice, and what the Wiccan community actually looks like. In doing so it sweeps away widely-held misconceptions and offers a comprehensive overview of this religion in all of its varied forms. Drawing upon the work of historians, anthropologists, sociologists, and scholars of religious studies, as well as the writings of Wiccans themselves, it provides an original synthesis that will be invaluable for anyone seeking to learn about the blossoming religion of modern Pagan Witchcraft. Ethan D. White was interviewed at length by Yvonne Aburrow of Patheos.com - to find out more about him, his background and his approach to his subject, read the full interview below!